Ahead of its unveiling at Mobile World Congress 2014 in February end, Samsung's upcoming Galaxy S5 smartphone has once again become the talking point in the tech community. All the key specifications of the model have been leaked by benchmark testing app Antutu. Galaxy S5 posts a score of 35666 on Antutu test, higher than the scores set by other top-end smartphones like Galaxy Note 3, Sony Xperia Z Ultra, LG G2 etc. The data shows that the Galaxy S5 will have a full HD screen, with no mention of the screen size; earlier reports have said that the handset will feature a 5.25-inch display. It was rumoured that Samsung will introduce its first 2K resolution display panel with the Galaxy S5. Instead, the data shows that it will continue to use the full HD screen in top phones this year as well. Antutu's data also shows that Galaxy S5 will use the quad-core Snapdragon 800 chipset, clocked at 2.5GHz. The same processor is used in smartphones like Galaxy Note 3, Nexus 5, Sony Xperia Z1 and LG G2. The South Korean manufacturer has already launched a version of Galaxy S4, last year's top model, with this processor in the global market. The big difference between Galaxy S4 and S5 seems to be its camera. The upcoming model will have a 16MP rear camera, as the data shows; it will also have a 2.1MP front camera. The current top phones of Samsung, Note 3 and S4, sport 13MP cameras. The Galaxy S4 zoom, however, has a 16MP camera on the back. Galaxy S5 will run on Android 4.4.2, the latest version of the operating system, out of the box. 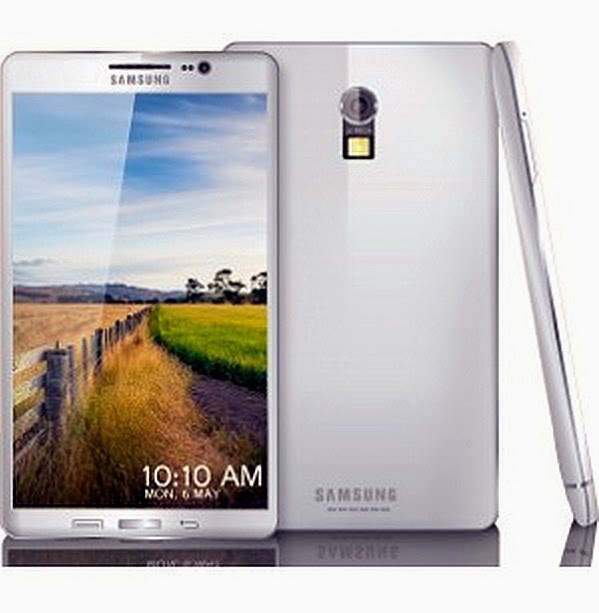 It is likely to be layered with the revamped version of Samsung's TouchWiz user interface. The data also shows that the Galaxy S5 will have 1.7GB of free RAM; it is likely that it will come with 3GB RAM on board and the remaining will be taken up by Samsung's custom user interface. Among the list of sensors recorded by the benchmarking app are the standard sensors, but there is no mention of eye or fingerprint scanners. Both of these scanners are widely rumoured to be part of the upcoming Galaxy S5. Samsung is expected to unveil Galaxy S5 globally at the Unpacked 5 event, scheduled for February 24 in Barcelona.